This trial focused practice has the goals of delivering quality legal services, providing to clients personal services while developing strong, trusted relationships through effective communication, analysis, planning and litigation skills seeking the best result possible. 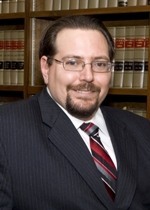 Mr. Straile has been an attorney since 2003 and practiced within the criminal justice system that entire time; he is a member of the Florida Association of Criminal Defense Lawyers, a member of the Florida Bar, and a past treasurer for the Eighth Judicial Circuit Young Lawyers Division. Mr. Straile focuses his practice on trial law specializing in criminal, family, business law and limited civil litigation or civil trial matters. Mr. Straile handles cases from civil traffic to trafficking narcotics and cases ranging from misdemeanors to life felonies. Mr. Straile handles all levels of criminal offenses and all issues related to criminal offenses from investigation to verdict and appeal. Family cases include divorce, custody, paternity, modification, domestic violence, child abduction, division of assets, parenting plans, and marital settlement agreements. Mr. Straile represents businesses from start up to litigation after sale. Many clients also have used Mr. Straile to provide general consulting regarding business decisions. Mr. Straile earned an LL.M (advanced law degree) from the University of Florida in tax law, a J.D. from St. Thomas University and a B.S. from Lambuth University. Prior to entering the legal field Mr. Straile worked providing financial services and advice at Banker's Life & Casualty and Morgan Stanley. Mr. Straile spent two years between the Third District Court of Appeal in Miami and the Seventeenth Judicial Circuit State Attorney's Office in Ft. Lauderdale . While in Law school Mr. Straile was active in trial competitions, and coached the St. Thomas Trial Team. Mr. Straile's volunteer work includes the Volunteer Income Tax Assistance program and the Boy Scouts of America. Mr. Straile served as an organizer of the Volunteer Income Tax Assistance program and a liaison between the program and the Internal Revenue Service. For the Boy Scouts Mr. Straile taught merit badges, served as quartermaster, and assistant scout master. Mr. Straile is an Eagle Scout.